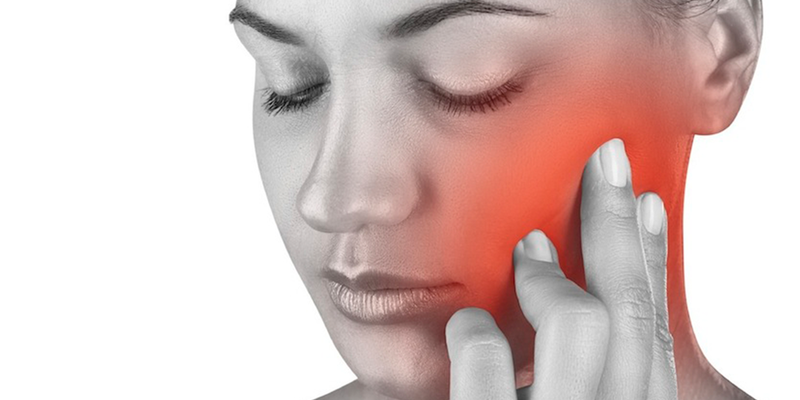 What is TMJ and What Causes TMJ Pain and Symptoms? TMJ stands for temporomandibular joint or more simply your jaw joints. The term describing pain and dysfunction within the TMJ is called TMD or temporomandibular dysfunction. A more encompassing term that Dr. Green uses is CMD or craniomandibular dysfunction that includes the entire skeleton in addition to the jaw joint. These are the twelve most frequently asked questions from Dr. Randi Green’s patients about TMJ and TMJ disorder. Find Dr. Greens answers to the top 12 TMJ most commonly asked questions in short video FAQs below. If you have more questions about TMJ pain or TMD the smile team can help. Many people with TMD are told or believe the only solution is surgery. Surgery is NOT the only solution for TMD or TMJ disorder. TMJ surgery can be successful in certain cases, but it does not address the physiology and function of the teeth, muscles, and jaw joints working in harmony. Dr. Green's non-surgical therapy is sought after by many in Springfield and the greater Midwest before patients resort to expensive and traumatic surgical intervention. Can TMJ Pain Go Away On its Own? TMJ pain for some people can go away. While patients may see the pain go away, generally the dysfunction of the TMJ is still present and can trigger an episode at any time later in life. TMJ disorder diagnosis can vary greatly from one practitioner to the other. Dr. Green takes a very comprehensive approach by looking at the teeth, jaw muscles, and the jaw joints to see if they are functioning in a healthy, physiologic position and working together in harmony. Is Popping and Clicking of the TMJ normal? The TMJ joints should make zero noise. Any sound occurring in the TMJ joint is not good. Popping and clicking of the jaws can almost always lead to pain in the future. A physiologic dentist, like Dr. Green, can help you determine treatment options for TMJ popping and clicking. TMJ is often called "the great imposter." TMJ patients can experience a multitude of different symptoms. The most common being: migraine headaches in the temple area, headaches at the base of the neck, ringing in the ears, ear pain or fullness, facial fatigue, jaw clenching and grinding, wearing, chipping and breaking teeth. These are all things a person with TMJ disorder can experience. Can I Get TMJ Pain From an Accident or Dental Appointment? TMJ dysfunction can come about through a car wreck, a long dental appointment, where the jaw was overstretched, a side blow to the head, or from whiplash. How is Your TMJ Treatment Different From Other Dentists? TMJ treatment with Dr. Randi Green is very different from other dentists out there treating TMJ. The physiologic dental training she has undergone helps her to find the root cause of why patients experience pain. The relationship of the teeth, the jaw joints, and the muscles, have to function in harmony with reversible treatment before making changes to the bite. Is Bad Posture Related to My TMJ Pain? Some patients must stick their necks out in order to chew and breathe properly. The neck compensates and protrudes in front of the shoulders. This can cause a lot of pain and tension headaches over time. Is TMJ Pain Usually Caused by Your Muscles? For most TMJ patients the pain is in the muscles. Outside of popping and clicking within the jaw joint, most people experience tight and sore jaw muscles, cheek muscles, temple muscles, or even neck muscles. Can Lifestyle Changes Affect Dysfunction With My TMJ Disorder? TMJ disorder is a disease of the craniofacial anatomy. Pain and dysfunction can result if the teeth, muscles, and jaw joints are not functioning in harmony. Taking care of one's self is also an important part of every TMJ patients healthy journey with physiologic dentistry. Physiologic dentistry evolved out of neuromuscular dentistry. Dr. Green looks at what causes TMJ disease in her patients. A physiologic dentist takes a whole-health approach from top to bottom to get the body as a system to be as healthy and balanced as it can. Dr. Green is a highly-trained physiologic dentist that can help you find answers for TMJ pain, TMD, and CMD. Don't let TMJ pain rule your life. Dr. Green is one of most highly-trained TMJ dentists in Missouri. She has over 500 hours of advanced physiologic-based dental training with successful TMJ pain therapy and TMD treatment outcomes. It is hard to put into words how great this team is. The staff is amazing and always super friendly. Visits are always cordial and relaxed. Dr. Green is an astute professional well deserving of all her positive reviews. I would attribute her success not only to her analytical and methodical prowess, but also to the level of personal conviction and caring put forth in her practice. I started seeing Dr. Green after I developed severe TMJ issues from having my wisdom teeth removed by another dentist. It has been a long journey and I’ve seen many doctors for my TMJ, but I must say that Dr. Green is by far the most compassionate, understanding, and personal provider on my road to recovery. Dr. Green is always exploring new possibilities and innovations. She is always willing to listen to any and all of my concerns, answer all of my questions and has never treated me as if I were just another patient. The great team, great energy and great care are what make this the best dental practice in the area. TMJ pain does not have to rule your life. Please fill out this brief contact form. A smile doctor team member will be in touch to help answer any questions or help you make a reservation with TMJ dentist Dr. Green and her highly-trained smile team.